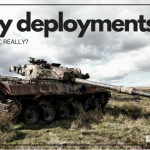 Army MOS, WOMOS, AOC – What’s It All Mean? 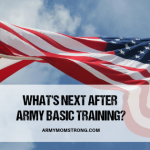 You are here: Home / Learn / Army MOS, WOMOS, AOC – What’s It All Mean? The Army uses abbreviations for most everything. You may have heard the abbreviations: MOS, WOMOS. and AOC thrown around a lot! These are abbreviations for the Army’s three categories of soldiers: Enlisted Soldiers, Warrant Officers, and Commissioned Officers. The Army uses a complex organizational system to categorize service men and women. Each of these categories has its own specialized training, responsiblity, and expertise. Here’s a look into the what it all means! MOS is a specific job within the command structure of the U.S. Army. These jobs range from rigging parachutes for the quartermaster corps to Special Operations Engineer and Radio Operator – Maintainer. The Army has around 190 MOSs available for enlisted Soldiers. Enlisted soldiers get the job done. An Enlisted Soldier’s rank can range from Private to Sergeant Major of the Army. Warrant Officers are highly specialized experts and trainers in their career fields.They remain single-specialty Officers with career tracks that progress within their field, unlike their Commissioned Officer counterparts who focus on increased levels of command and staff duty positions. When a Warrant Officer reaches the rank of Chief Warrant Officer Two, they are commissioned by the President and have the same status as their traditional commissioned Officer counterparts. An example of a Warrant Officer is a helicopter pilot. A Warrant Officer’s rank can range from Warrant Officer 1 to Chief Warrant Officer 5. Commissioned Officers are responsible for completing demanding missions while ensuring the welfare, morale, and professional development of the Soldiers entrusted to them. They are entrusted with serving as a model of the Army values as they perform their leadership duties. Officers give orders. An Officer’s rank can range from Second Lieutenant to General of the Army. Our service men and women work together to defend our country, our freedoms, and our way of life! HOOAH! Hi Rich. I don’t really know. I found it out on the Internet and have seen it used many times. However if you are using it for a more public event you may want to contact the Army media dept.